Guided cycling holidays offer all of the adventure without any of the hassle. Small groups of like-minded people, typically 6-8 cyclists per group, are allocated according to their fitness and cycling experience. These groups stay together for the duration of the holiday in a large, luxury villa each with a private heated pool, secure twinned rooms and lovely areas to socialise with new friends indoor and out. Flyingeese guided cycling holidays are perfect for those who want to get away from it all apart from the bike. Our support team means that you can just turn up and ride – all we ask is that you bring a helmet, pedals and sense of adventure. The rides and routes have been created by our team of avid cyclists who have spent many weeks exploring the area, testing routes to create an exhilarating itinerary offering variety, culture, scenic views, challenging climbs and fast mountain descents. Our itineraries have been crafted to showcase the best of European cycling irrespective of ability. 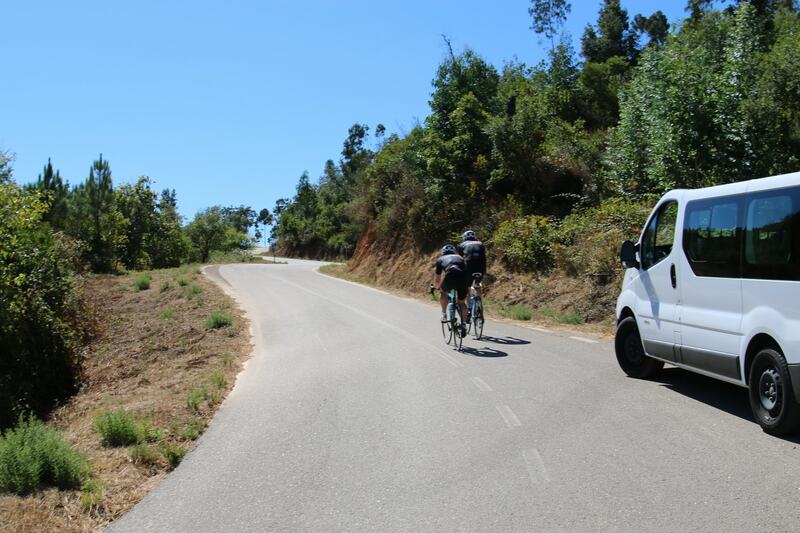 Groups benefit from the support and expertise of a dedicated team including; former GB international cyclists who lead the rides along with our Flyingeese founder who has extensive knowledge of the Algarve, on the bikes there is full vehicle support for repairs – or if it ever gets too much you can simply give your legs a rest. The quality of the support and facilities that you’ll find on a trip with Flyingeese will bring new dimensions to your riding. For more information about guided and un-guided cycling see our recent blog from Flyingeese founder Jeff Jones.